Authentic Thai tea is made of orange-dyed black tea mixed with a bit of sugar, sweetened condensed milk and evaporated milk. It can be served either hot or cold. When served cold, you have the people’s favorite, Thai iced tea. 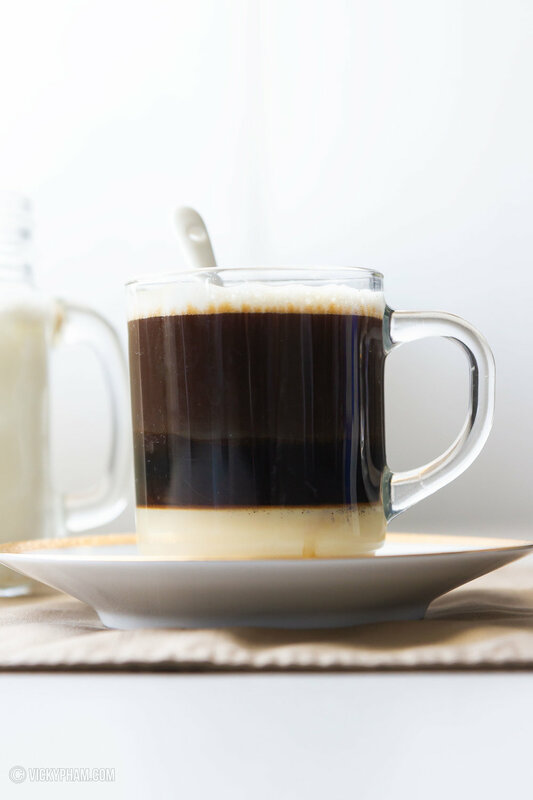 Vietnamese iced milk coffee (ca phe sua da) is the most popular coffee drink in Vietnam. It’s a refreshing caffeinated drink, perfect for the hot and humid Vietnam weather. Since it’s getting close to Winter here and I’m one who can’t regulate my own body heat for the life of me (says the husband), I rely on hot Vietnamese milk coffee (ca phe sua nong) this time of year to keep me warm. It’s the same great flavor of Vietnamese iced coffee but obviously without the ice and a tad less condensed milk. Ca phe sua nong is essentially a Vietnamese sweetened espresso. One of my favorite drinks at Starbucks is an iced caramel macchiato. However, at over $4 a drink, the drink doesn’t come cheap. I finally came up with a copycat recipe that I truly love. It’s even better than the Starbucks version, which I think has way too much milk and not enough coffee. Now I can enjoy my drink just how I like it without having to pay a premium. It's officially Summer! What better way to enjoy the Summer heat than a refreshing cold beverage in hand. Macha iced latte, anyone?